BMW X1 coming to the U.S., but can it compete in a crowded crossover market? 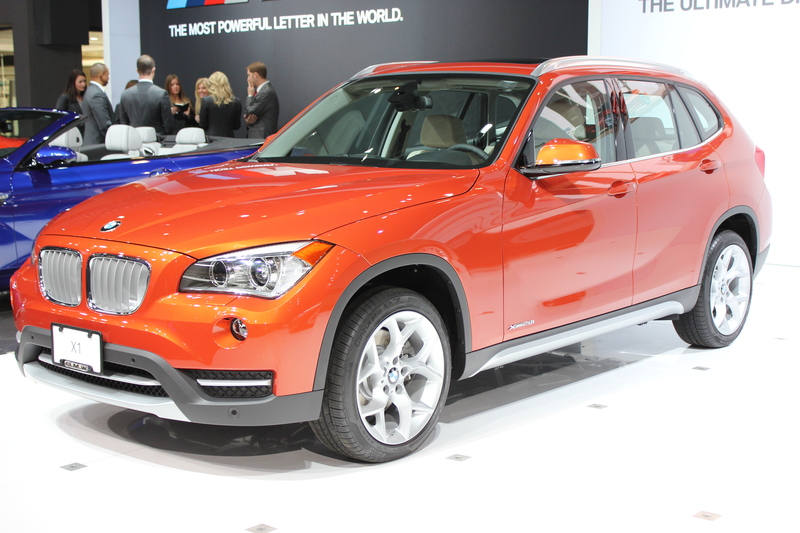 2013 BMW X1 xDrive28i at the 2012 New York International Auto Show. Every time an auto manufacturer creates a new vehicle or introduces an existing product to a new market they take a calculated risk. Will the sales figures live up to preliminary predictions? Does a customer base for the model actually exist, and if so, will they spend their hard-earned money on that given vehicle? With ever-growing competition for consumer dollars between manufacturers, and even within a brand’s model lineup it’s never certain whether a vehicle will eventually be deemed a success or failure. BMW took such a gamble with the introduction of the 2013 X1 Sport Activity Vehicle (SAV) at the 2012 New York International Auto Show. Although the X1 initially rolled off the Fatherland’s Leipzig assembly line in 2009 this will be the first time BMW’s smallest compact crossover makes its way across the pond to U.S. shores. Upon making its arrival this September the X1 will have to compete with three SAV siblings, the X3, X5 and X6. Exterior badging on the 2013 BMW X1 xDrive 28i. All of these BMW models are larger and powerful than the X1. However that size comes at a price, quite literally in-fact. 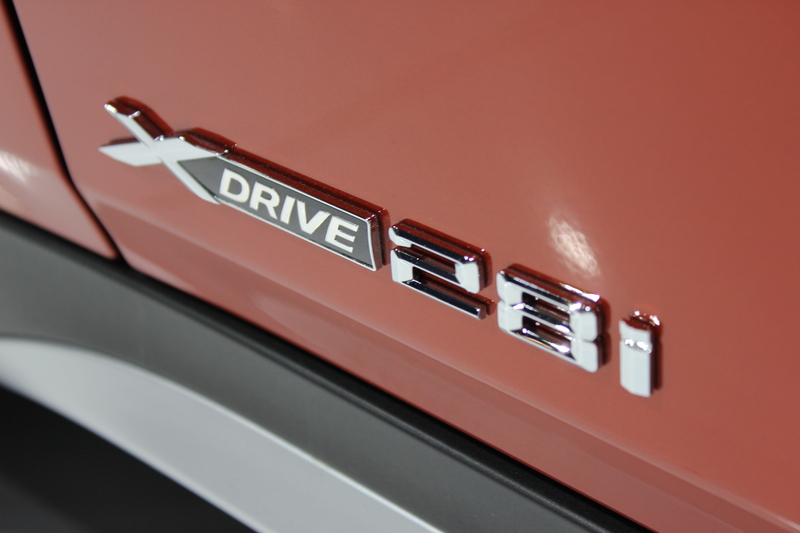 The starting MSRP for the rear-wheel-drive X1 sDrive28i is a manageable $31,545 (includes $845 destination charge). For $1,700 more buyers can opt for the 28i with BMW’s xDrive all-wheel-drive system. Both versions of the 28i are powered by an economical and fuel-efficient 2.0-liter four-cylinder gasoline engine producing 240 horsepower. The top-tier variant of the 2013 X1 is the xDrive35i, offering a tried-and-true 3.0-liter six-cylinder engine with a peak output of 300 horsepower. All variations of the X1 come standard with an eight-speed automatic transmission, no manual will be available. Due to the difference in engine and all-wheel-drive the X1 xDrive35i has a base price of $39,345. Those numbers might seem high for some, but compared to the full-size X5 xDrive35i, which features the same engine and performance but starts at $47,500 the X1 35i is a relative deal. The 240 horsepower, 2.0-liter four-cylinder engine in the 2013 BMW X1 xDrive28i. Although paying $8,155 less for the premiere X1 over the base X5 might seem like a good deal, the same can’t be said when comparing the small X1 to the mid-range X3. 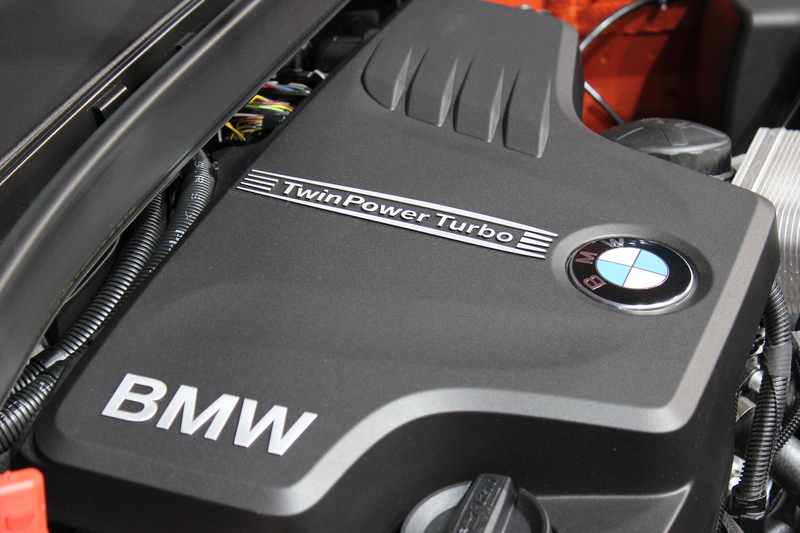 As with both the X1 xDrive35i and the X5 xDrive35i, the X3 xDrive35i is powered by the aforementioned six-cylinder engine with BMW’s TwinPower turbo technology. However, despite being larger than the X1, the X3 only rings in with a base price of $43,600. When it comes down to it BMW might have a hard time selling the smaller X1 to buyers who can afford to purchase a slightly larger and more spacious X3. After all, Americans love large SAVs and SUVs and the concept of a small, yet capable counterpart is something that is just beginning to take hold in the states. In addition to competing models within the brand, Within the group of German-based manufacturers BMW will have to contend with Audi’s Q3 and Mercedes’ GLK-class. And that doesn’t even begin to include domestic and other import crossovers such as the Acura RDX, Honda CR-V and newly redesigned Ford Escape. The verdict is far from out on whether or not the X1 can achieve the success seen throughout Europe and Asia and thrive in a crowded U.S. crossover market.